Mike Mignola’s Hellboy series and its various spin-offs careen wildly back and forth through Hellboy’s career (ditto Abe Sapien, Professor Bruttenholm and everyone else). As I write this, I’ve been reading through them in internal chronological order and frequently discover it’s hard to keep track of which story comes when. Hence this page, which will break down the Hellboy stories according to the year they happened (and only stories—if you want dates such as the fall of Hyperborea, check out The Hellboy Companion). The nice thing about computers is that it’s possible to update these lists as new stories come along and disrupt the established order, which they inevitably do. If I’m not sure where in a given year a story takes place (does BPRD: Vampire take place before or after The Midnight Circus? ), I’ve guessed. I can always correct mistakes later. While I usually defer to the Companion as the official source, it doesn’t always work. 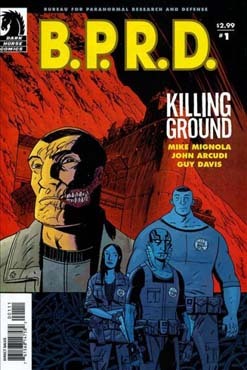 It lists Darkness Calls coming after BPRD: Killing Ground, but the scenes with Liz in the epilog show it falls in 2006, before Killing Ground and after Universal Machine. A commenter just pointed out that Conqueror Worm‘s internal chronology contradicts the dates in the Companion. No surprise, very few series this long don’t run into inconsistencies. The listing category is year/story/TPB collection (when it isn’t the name of the story). I’ll post new entries as I progress through the series. 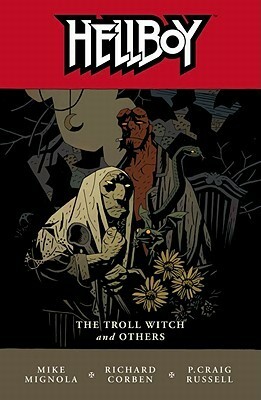 Rights to all cover images belong to the current holder; art by Mike Mignola unless otherwise stated. If a story takes place with multiple time periods (Hellboy in Mexico, for instance, is a flashback), I’ll place at whichever point makes the most sense. In some cases I’ll list the story in multiple time periods. For more in-depth information, try the Hellboy wiki. Sir Edward battles an ape that worships an evil god. Investigating the death of a British official, Sir Edward Grey discovers a sinister waterborne menace in the fens around the town. Sir Edward Grey discovers the vampire Giurescu has been laying the groundwork for an assault upon England. In Burma, British colonial police and occult adventurer Sarah Jewell discover a series of kidnappings trace back to an ancient temple and a sinister prophecy. While the Lobster takes on a mad scientist’s radio-controlled brain slaves, he also has to cope with the cops trying to shut him down and reporter Cindy Tynan exposing his secrets. The Lobster hunts down gangsters who’ve taken a sidewalk Santa Claus hostage. A former mobster forms a sinister cannibal cult among the down and out of a local hobo camp. The Lobster investigates mysterious goings-on involving a Turkish glassblower’s museum exhibit. Trevor Bruttenholm, still in college, makes his first attempt to investigate the supernatural. The Lobster and his crew confront a cabal of sorcerers raising the dead in a New York graveyard. The Crimson Lotus battles the Lobster inside his own mind. The Lobster and his crew try to crack the mystery behind the robot juggernauts creating havoc throughout New York. Mob boss Wald kidnaps reporter Cindy Tynan as part of an elaborate trap involving a phantom pirate ship. A Nazi representative recruits Rasputin as an ally of the Third Reich. Working with British intelligence, Trevor Bruttenholm discovers Rasputin and his Nazi acolytes are seeking the lost secrets of the Heliotropic Brotherhood. Bruttenholm leads an Allied effort to thwart a Nazi ritual, but the ritual nevertheless brings forth—Hellboy! An alien assigned to kill Hellboy spares him in favor of monitoring him over the coming years. While Professor Bruttenholm witnesses the birth of Hellboy, “the Hammer” tries to rescue his buddies from the Battle of Bastogne. 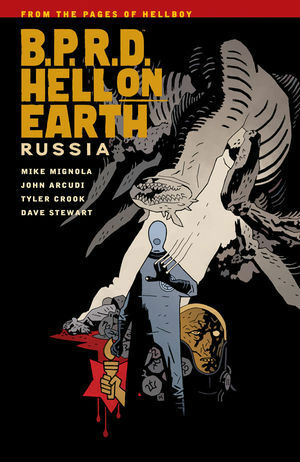 Hellboy accompanies a BPRD field team to investigate mysterious events in Brazil. What awaits him include cyborg apes and betrayal by one of his team-mates. In England, the Professor and Hellboy battle a disembodied hand. Hellboy, still visiting England, confronts an old legend threatening an inn. In Shropshire, Professor Bruttenholm and Hellboy take on a resurrected witch who once battled against Rome. Hellboy and psychic Susan Xiang lay to rest the ghosts of murdered Chinese miners. Hellboy leads a BPRD team to investigate the mutations threatening a California town. A family haunted by a ghost monkey turn out to have deep secrets. The theft of a Chinese spirit jar draws Hellboy and Susan to Hong Kong. The case turns out to involve stolen souls and international intrigue. Hellboy confronts ominous visions inside a magic mirror. The Visitor watches Hellboy battle the dragon and becomes convinced he’s a force for good. Hellboy and black researcher Dr. Farrier investigate demon attacks in Oregon, despite the locals’ bigotry. Hellboy and a team of BPRD agents investigate monstrous goings-on in the Marshall Islands and stumble into international intrigue. Professor Bruttenholm meanwhile investigate Britain’s ongoing occult espionage network. 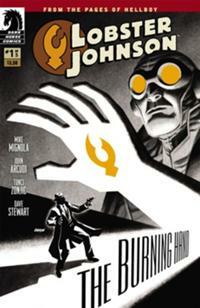 Hellboy and Susan Xiang travel to Florida to investigate what might be cases of spontaneous human combustion. Hellboy tries to even the score with the Coffin Man but only gets turned into a monkey. The Frankenstein creature Hellboy battled in the previous adventure wanders into an underground Hyperborean city where new dangers lurk. The Visitor watches Hellboy defeat a giant armadillo. Later in the year, the Visitor destroys one of the Oghdru Hem. The Visitor discovers a self-help movement is actually a front for a cult summoning an Oghdru Hem. Exploring an underground lake, Abe winds up in battle with a Mayan vampire. Professor Bruttenholm tells Abe the legend of sorcerer Gustav Strobl and the Black School that trained him in the occult. BPRD agents Abe Sapien and Sal Tasso set out to salvage the Melchiore Burgonet, lost at sea for 40 years. Hellboy and Abe Sapien attempt to stop Blackbeard’s headless corpse from reclaiming its head and launching a reign of terror. 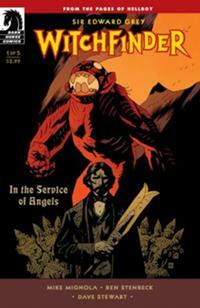 Investigating a murder in British Columbia, Hellboy and Abe encounter a lake monster and the hermit that controls it. 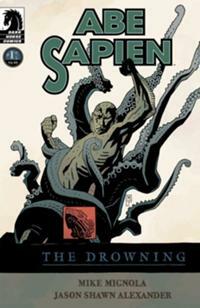 Abe Sapien battles against a mysterious curse plaguing ships in the Atlantic. Ruby, the Visitor’s human wife, dies. Abe has a dream that gives him uneasy hints about his destiny. The Visitor sacrifices himself to help Hellboy stop the Nazi scheme. Hellboy escapes the island only to be trapped in the past, on a mad seagoing expedition to contact one of the Ogdru Hem. Abe and Roger argue about their different approaches to dealing with their true natures. Abe remembers how Langdon Caul, his past self, became involved with the Oannes Society. With Liz and Fenix back on the BPRD, a joint American/Russian task force penetrates the Black Flame’s stronghold in New York city. Abe rescues a captured woman, Grace, from a man who believes Abe is Satan. Abe and Grace revisit their pasts as they traverse New Mexico. Abe returns to where Fenix shot him and discovers a strange cult, a mutating gas, BPRD agents and some old acquaintances. Evil from an old Hellboy case returns to possess Kate. BPRD agents in Japan get caught up in a battle between kaijin. An ordinary man struggles to adapt to the apocalyptic new normal. 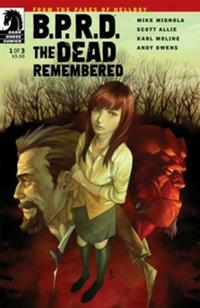 BPRD Agent Ashley Strode joins forces with an aged exorcist to free the demon trapped in his body. Abe and Grace arrive in a small town untouched by the chaos engulfing the world—but that’s because the preacher is working a sinister magic. Johann and Howards lead a monster fighting mission while Nichaeyko struggles to keep the fight going in Russia. Abe comes to the aid of a half-sunken Florida town, threatened by monsters in the water. While there he ruminates about his past, and the revelations he’s received about his future. A prophetic pre-teen girl gives Abe advice about his role in the future. The agents under Johann Krauss’s command complain the ectoplasmic Johann has lost touch with his humanity — and theirs. 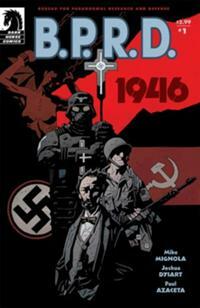 Johann places his spirit in the Hammer’s WW II battlesuit to stop a wave of monsters overwhelming BPRD headquarters. Sorcerer Gustav Strobl returns to the school of sorcery that initiated him. What he learns there furthers his plans for Abe Sapien. Abe learns that Professor Bruttenholm knew about his past life as Langdon Caul years before Abe learned about it. Johann and Liz lead an armed attack on the Black Flame’s domain in New York. Ashley Strode investigates a small town with a long history of children disappearing. An ancient Hyperborean priest explains Abe’s role in the end of the human era. Abe gains more insight from Hellboy’s old girlfriend Alice, who lives in an England preserved from the wider world’s chaos. Meanwhile Gustav Strobl transforms himself into the same kind of sea being as Abe himself. Strobl, believing himself better suited to bring on the new race of man than Abe, attempts to destroy his rival. Wandering Hell, Hellboy has a rematch with the Vampire of Prague. 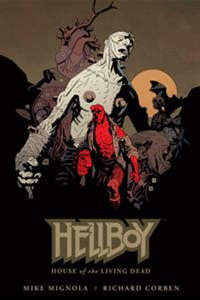 Hellboy discovers there’s a parasite riding his soul, and enlists the help of some occultists to exorcise it. Hellboy confronts a woman he once married and learns the only way to find peace is to finally embrace his destiny. Hellboy brings about the end of Hell itself and moves on … somewhere. With the Black Flame dead, Liz and Johann lead an all-out attack against the remaining Oghdru Hem monsters. The Oghdru Hem are gone, but other threats have arisen — including Varvara, who intends to turn Earth into a new home for demon-kind. (My original guesstimate was that time in the Hellboy-verse was running behind our own — I didn’t see enough down time between missions to stretch the timeline after King of Fear any further than around 2015. 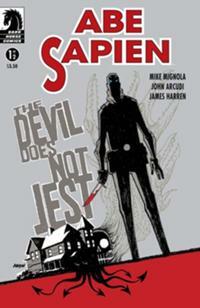 Events from Abe Sapien: Sacred Places to the first chapter of A Darkness So Great occupy two weeks, according to the text, for instance. However Lost Lives says Abe’s transformation occurs in 2013, so I’ve stretched out the timeline accordingly). Where does baltimore fit into to the HB universe? It’s a separate world as far as I know. Actually yes your right just read an article on the first series release. Not meant to be a part of the HB universe thanks for the confirmation. Great chronology most people just list by publication date. Fantastic chronology! I’ve been collecting the various Hellboy/BPRD/Mignolaverse trades for about a decade, but its been a good 4-5 years since I’ve done a read through (and haven’t even read a lot of the newer stuff released over the past several years). Going to use this as a guide as I make my way through my trades, sticking to this guide. Looking forward to any updates you make for it. Thanks. That’s pretty much why I wrote it. Hi Fraser! 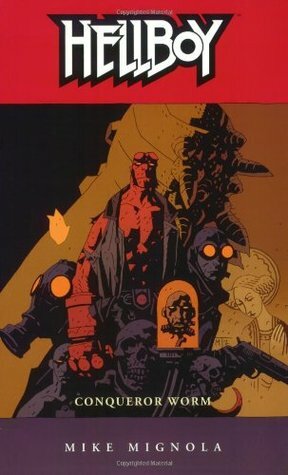 I’ve been religiously following your excellent Mignolaverse timeline, and I’m already reaching the end of 2011. Do you plan to update it soon? Thanks! Hi, I love this list. It’s so convenient. Is there any sort of update schedule? No formal schedule. It happens whenever I finish a new TPB–the next ones will probably be finished in two to three weeks–or discover I’ve made an error that needs adjusting. In Hellboy Conqueror Worm takes place in 2000, 61 years after the opening flashback in 1939. You put 2001, why? The Hellboy Chronology listed it as 2001. I default to the chronology but as the comic book specifically contradicts, I’ll go with Conqueror Worm and make the change. Thanks for spotting that. Update on the case: I do not have The Companion and did not know he gave exact dates of the events. A friend of mine told me that the invasion of the castle according to The Companion was on March 20, 1939 and Conqueror Worm took place on February 5, 2001, which would still be within the 61 years. What would 61 years, and 10 and a half months, is an explanation for the timeline made by Jason Hall for The Companion, he did not tell the months and days. So it may be 2000 or 2001. My compliments on an excellent job with your chronology! I was working on a similar project a few years back (strictly for my own personal reference) but just didn’t have enough time to keep up with it, so I’m very excited to find your chronology here! 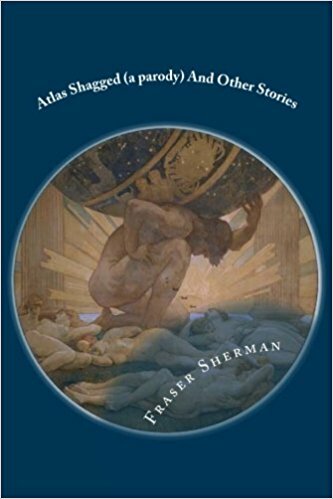 I was wondering if you ever plan to add the prose novels to it (such as The Bones of Giants or the Last Army); while the books aren’t specifically listed in the bibliography of the Hellboy Companion, their events are referenced by the Companion’s timeline (such as Hellboy’s relationship with Anastasia Bransfield). Just curious what your thoughts are on it! The Companion makes it clear they’re canonical, but I’d prefer to keep this one focused on the comics. Though if I ever get around to reading the novels, that might change. This list is wonderful – thanks! 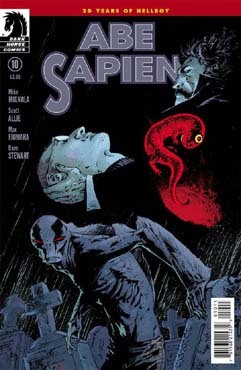 Just a few small notes: Rise of the Black Flame is 1923, and there’s only 1 ‘s’ In Abe Sapien. Right on both counts, corrected accordingly. Thank you! It’s always nice to know I’m not the only one who needs a list to keep the stories straight. This is a great list, I’m so happy to have found this. I hope you can keep updating if there is more stuff in the series. I’m also curious about where Icthyo Sapien is? Great work on this list. It only seems to me that ‘Midnight Circus’ must take place before “BPRD: 1948” when you look at the last panel of the latter. I think you’re right, Brendan. I’ve adjusted accordingly. I want to start reading Hellboy. I was wondering, as someone who has never read them before, would reading them in this order cause any kind of spoilers? I don’t think so, though it will give a very different feel to the earlier-written, chronologically later ones. But I’d recommend starting with the original Hellboy story, Seed of Destruction, then maybe going back to the chronologically earlier ones. (If anyone reading this has a suggestion, feel free to chime in). I’ll give that a look once I get a moment. Ichthyo Sapien is almost all flashback — I don’t see anything that dates it compared to events in BPRD, other than it has to come after Abe’s transformation. Given how much he’s doing in his own series, I think I prefer to put it earlier in the year. I may revise that when I reread everything again, but for now I think it works best as is. I appreciate you having a look at it, but the last page of Icthyo Sapien has Liz and Ted Howards flying in on a BPRD airship, outside the flashback, and so that framing story has to come after chapter 5 of Lake of Fire, at the very earliest. I read somewhere that story was extended for the omnibus, so maybe there’s a difference there? I think the wraparound story has to come sometime during The Devil You Know: Messiah, but I’m not sure exactly where. Did you read Ichthyo in the omnibus edition? Apparently they expanded the original which would explain why the version in the Lost Lives TPB doesn’t have Liz in it. I did, yes. I believe that’s the source of my timeline confusion. Thanks! Sigh — I switched to TPBs because those kept including added material that wasn’t in the comics. I didn’t realize the Omnibuses did it too. 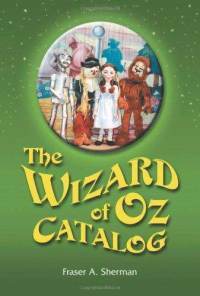 I shall hunt for an omnibus and check this out. Thanks for the tip.